The SpiNNaker has also been used power a robot called the SpOmnibot, which can navigate the real-world by identifying objects and moving toward or ignoring them. “Neuroscientists can now use SpiNNaker to help unlock some of the secrets of how the human brain works by running unprecedentedly large-scale simulations. It also works as real-time neural simulator that allows roboticists to design large-scale neural networks into mobile robots so they can walk, talk and move with flexibility and low power,” added Professor Furber. Apogee777, cliffordcooley, mcborge and 3 others like this. Yeah, yeah .... very impressive ..... but is it upgradeable? cliffordcooley, Right side bob and Morris Minor like this. sadly no, but it can post "can it play crysis" memes in appropriate situations on internet forums. Apogee777, TempleOrion, mbrowne5061 and 1 other person like this. Can you imagine a Beowulf cluster of these? "12 years and $19.5 million to complete"
Shoulda gone with NewEgg. I could have built it for less than 18 million. Charles Olson, TempleOrion and JaredTheDragon like this. At a million different processors, I think it already is a kind of Beowulf cluster. If you would have been following this from the beginning you would know that the answer is obviously, The Backstreet Boys. Charles Olson and stewi0001 like this. ..the answer is STILL 42. What kind of cores does it have? Are they x86 (and if so, are they AMD, VIA or Intel? ), ARM, IBMPower, etc. I would find it really interesting to know because I think that a computer with 1,000,000 cores wouldn't necessarily need the newest cores to be effective. It could probably have been made with old Opteron Interlagos CPUs and still done a fine simulation of the brain for far less initial cost (although the power use would be much higher). All-in-all, this is a very exciting thing that will give us great insight into treating diseases of the brain, something we know less about than we do stars. EDIT: I looked it up and they're ARM cores. I think that's great because a lot of ARM architecture is open-source and open-source is the future. Did you say ARM? Uh oh.... Looks like this multi million dollar machine is susceptible to both the spectre and meltdown exploit... And I believe drive-by rowhammer attacks. See, it does work just like the human mind, which is susceptible to every bit of of bullsh!t and propaganda that politicians, advertisers, and religious figures can dish out. Lol. 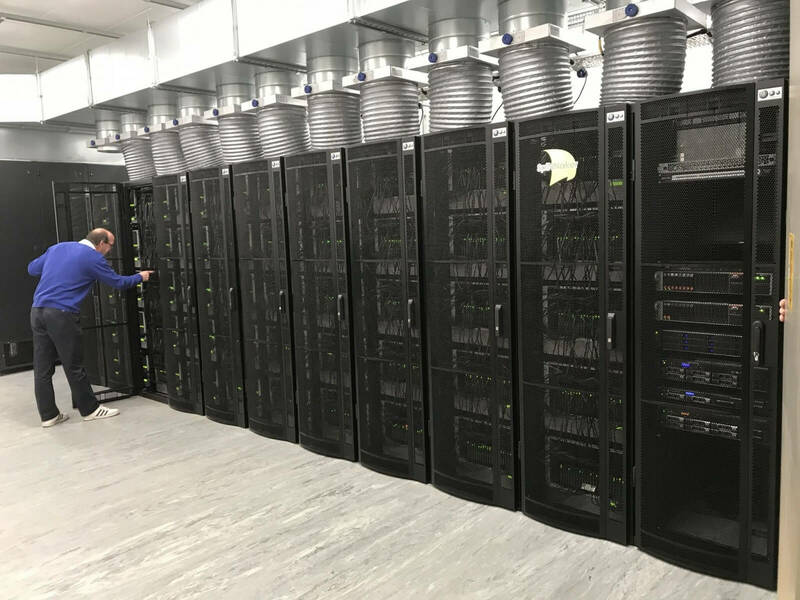 "World's largest neuromorphic supercomputer diagnosed with Major Depressive Disorder minutes after being switched on." Now the Question is. If they have a problem with it, do they call a Doctor or an Engineer? You understand you can have a doctorate in engineering, right? So this is where your arms go, when you pay an arm and a leg! Wow, don't get me started about medical costs. This year we got a pretty hefty COLA from Social Security. Trouble is, do to a rise in Medicare premiums, I get 20 dollars less a month this year, than I did last. .
As if anyone could get anywhere near enough to the machine to mount such attacks. None of these bugs are a problem when no people who would use them have access.